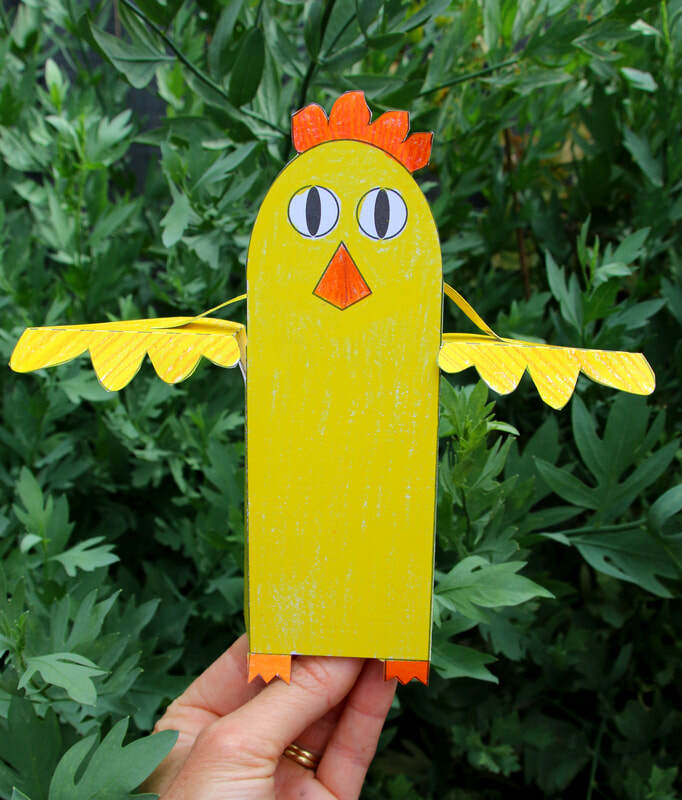 Printable Flapping Chicken for Kids. 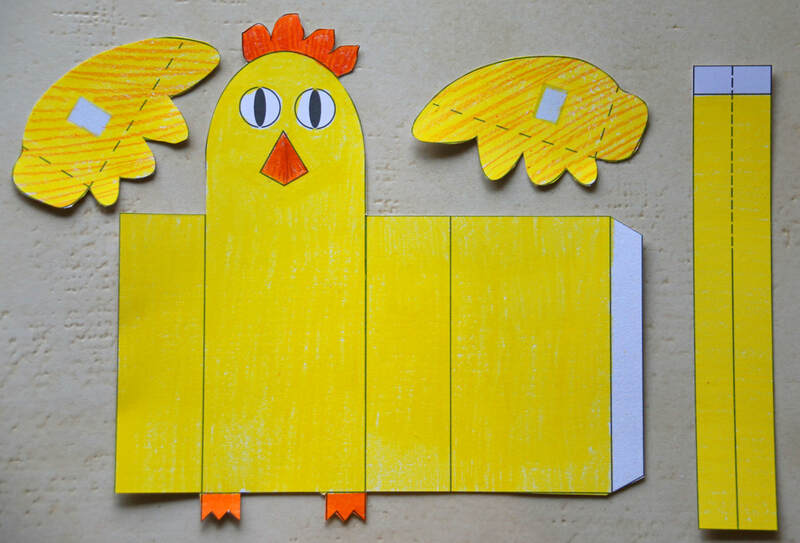 A cool craft to help your kids with - Your chicken has wings that will flap up and down when you pull the inside lever. 1. White A4 thick paper or thin card. I used 200gsm board. 1. 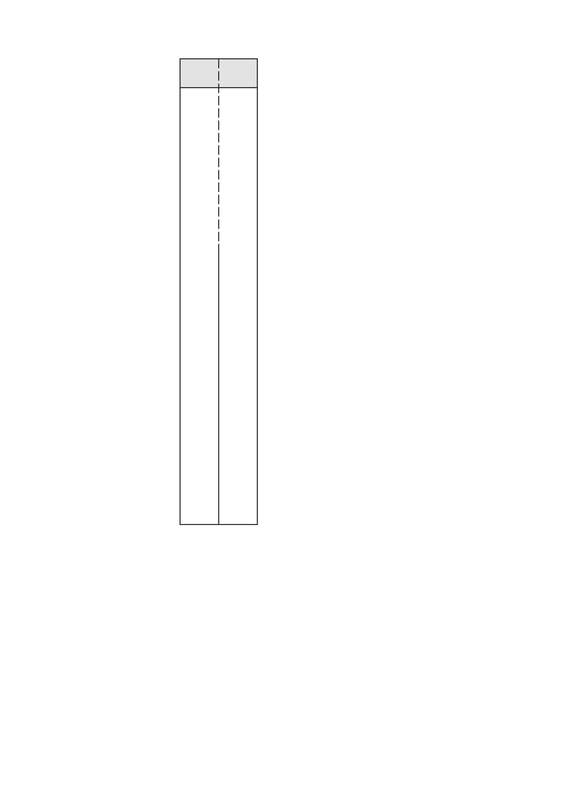 Print out the two templates, found below, onto your A4 card / paper. There are two template options: either pdf or jpg images. They are both A4 size. 2. 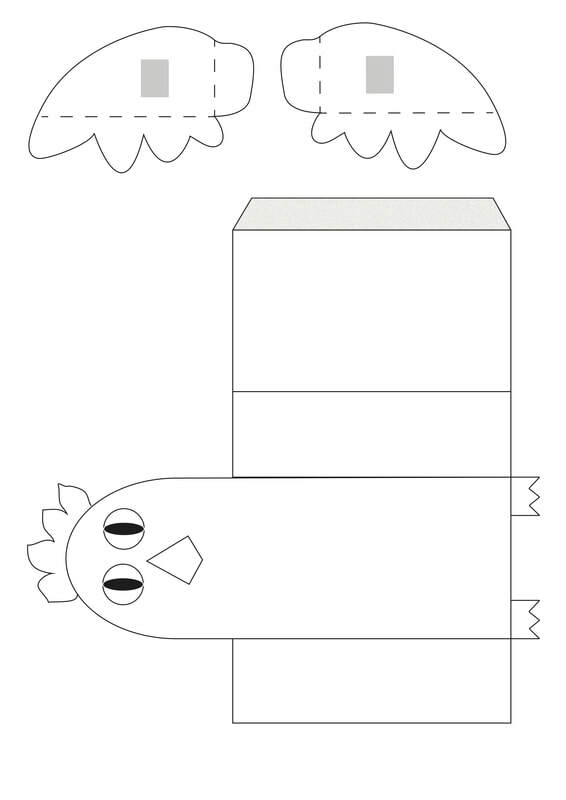 Colour in your Chicken templates. If you use crayons, try avoid colouring over the areas where you will stick the pieces together, as the crayon will make it harder to adhere. 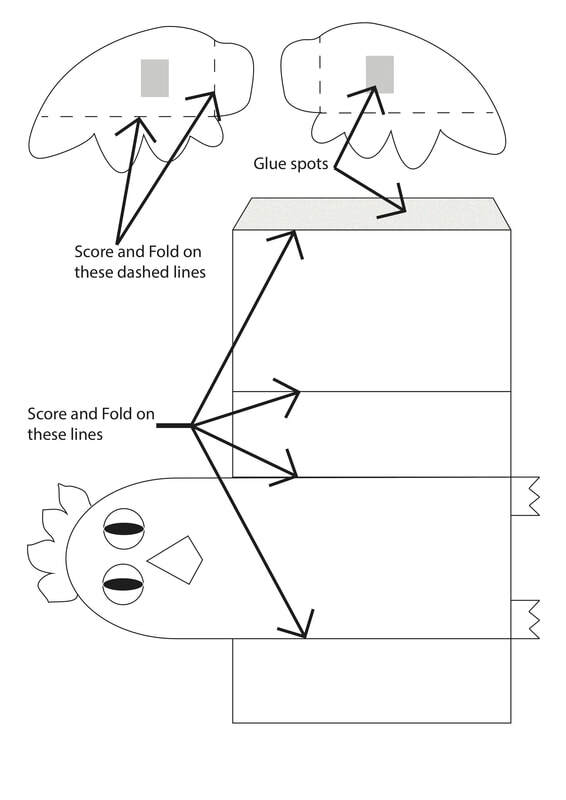 Check with the instruction below if you need to check where the glue spots are located. 3. 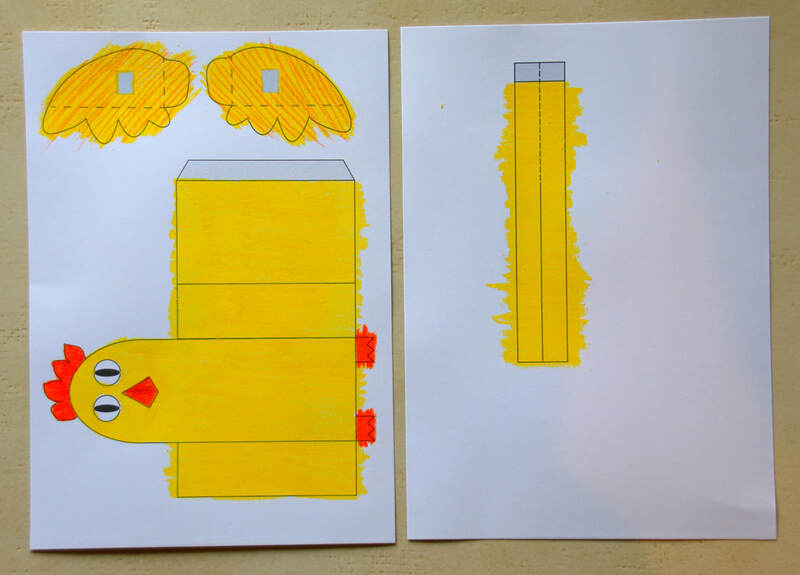 Cut out the pieces, as shown. 4. Cut along the dotted line on the lever. 6. 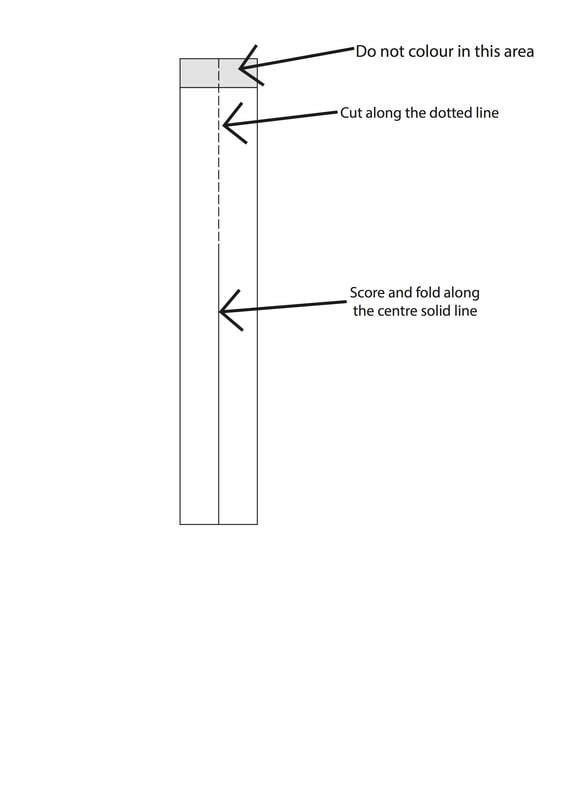 Score along the fold lines (as shown in the instruction picture above) so that you an fold it easily. 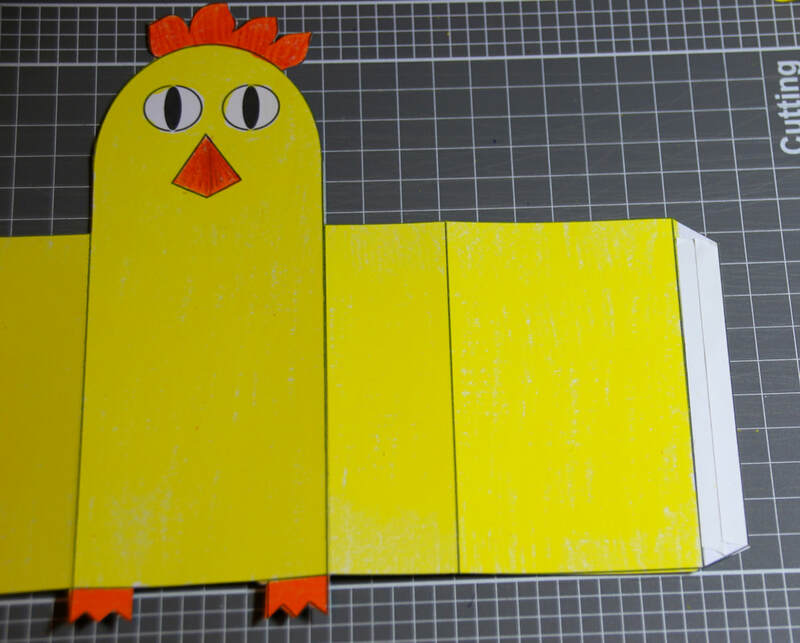 Use a scoring tool and ruler to make straight lines for neat fold lines. 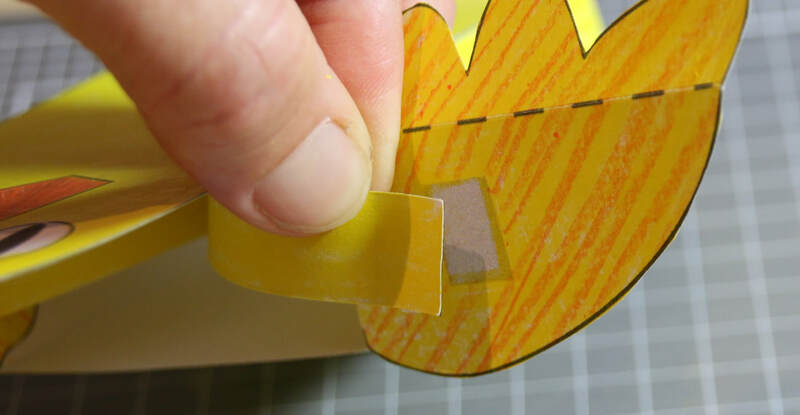 ​To score the card, use a ball point pen that has run out of ink, a scoring tool, or anything that can lightly mark/score the card so that you can fold the card easily with sharp fold lines. 7. 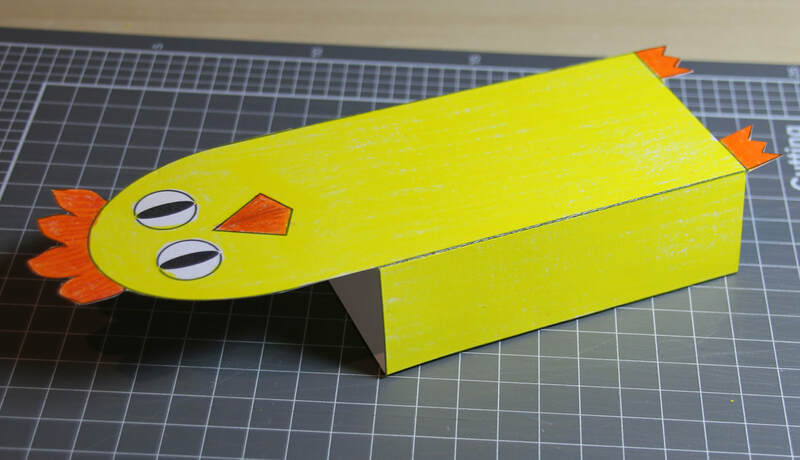 Using double sided tape or sticky tape, secure the chicken body into shape. 8. 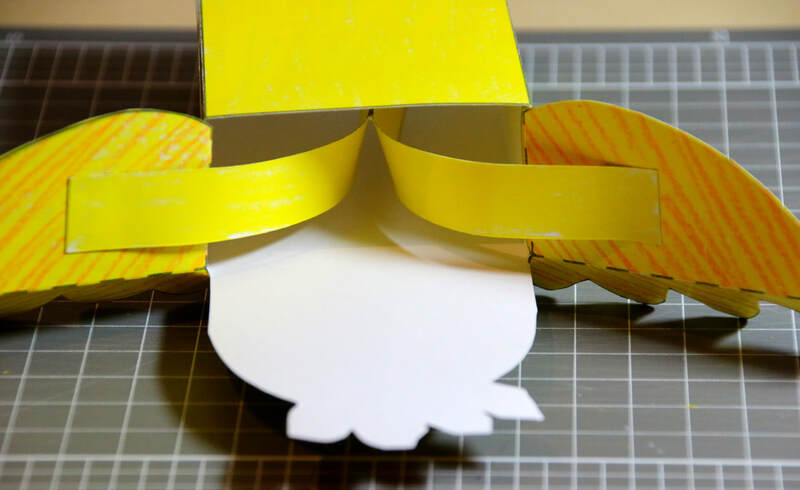 Use the double sided tape or sticky tape to attach the chicken wings, as shown. 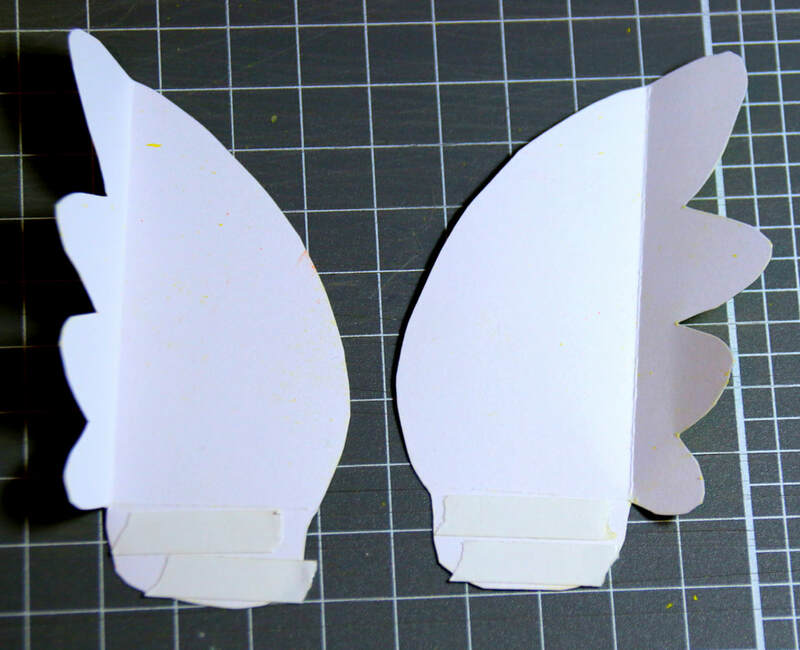 Be careful to leave enough room for the wings to move freely up and down. 9. 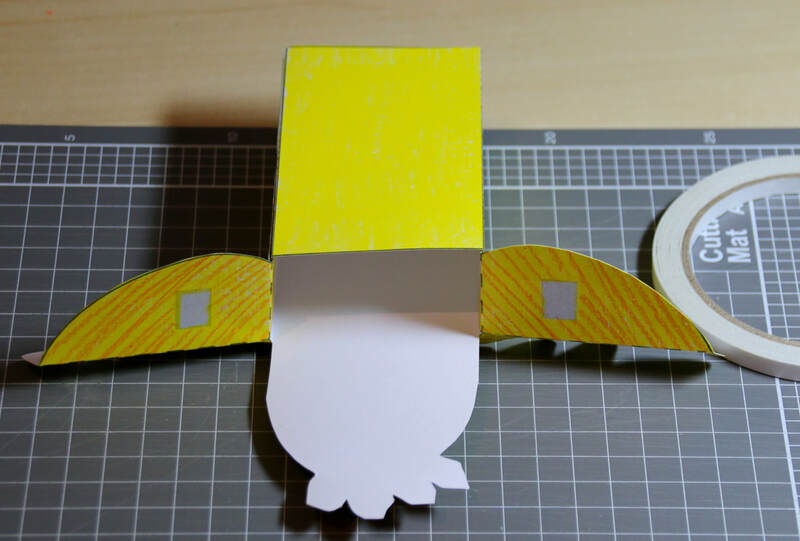 Attach the lever to the chicken wings, as shown, using double sided tape or sticky tape. The split upper part of the lever attaches to each of the wings, as shown. 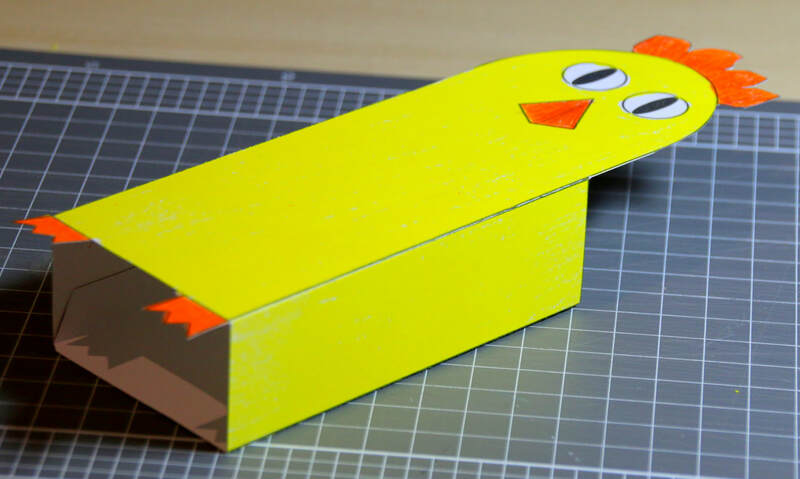 The bottom part of the lever folds in half and sits inside the chicken's body. Double sided tape applied to the attachment sites. The lever to the adhered to the attachment site on the wing. 10. Your chicken is ready to use. 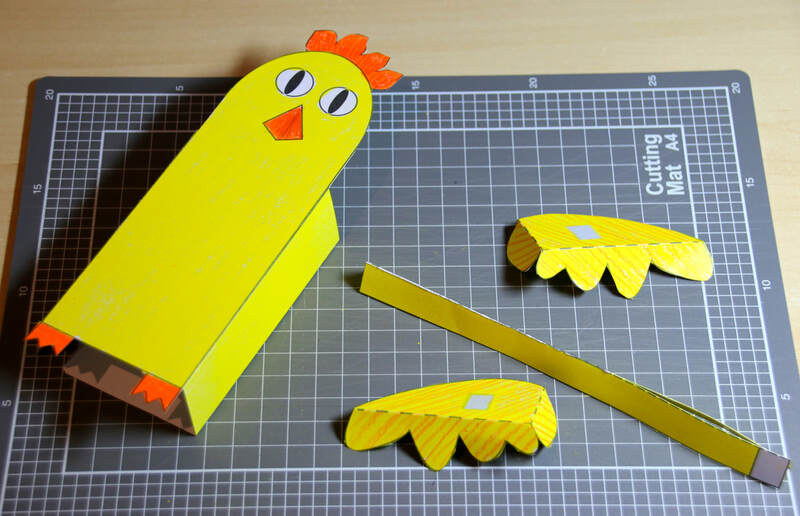 Move the lever that is inside the chickens body up and down to make the wings flap.